When Accent Group founder Arthur Nassau retired from his legal practice in Philadelphia and moved to South Florida , he never envisioned becoming an entrepreneur/manufacturer. When he and his wife, Rea, an artist, designed and built their house in Parkland, they began to see a need for high quality, reliable, design related companies in the building trades. In 1988 at the suggestion of a friend, they decided to open a small custom closet company. "I wanted to work with my hands instead of my head," said Arthur. "We wanted to work about 3 days a week, and space design came natural to me," Rea added. 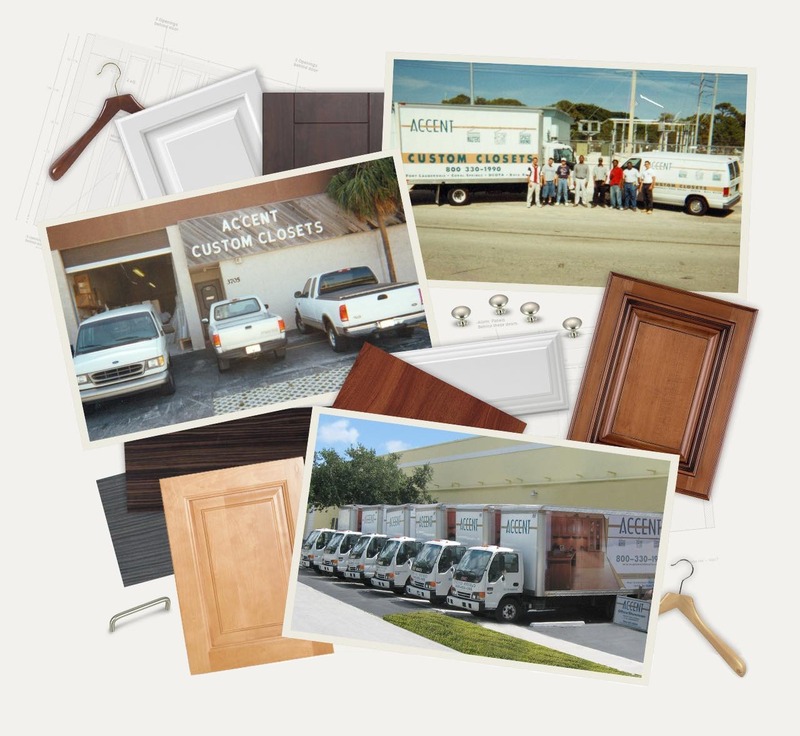 Little did they know the company they founded ‘The Accent Group' now the umbrella company of Accent Custom Closets, Space Masters (The Home Show Closet Company) and Space Design, would grow to service South Florida with a state of the art Factory/Showroom, a fleet of trucks and dozens of loyal employees. In fact, many of those who came to work for them found they had joined a company with old style values. Arthur and Rea's values and simple approach to life set them on a path that would change the lives of young intelligent workers who were looking for jobs and instead found careers. When Jason Smith came to work with them in 1992 and Ron Annechiarico in 1996, the business went into high gear. Jason and Ron have been best friends since they were 15 years old. Their dream was to run a business together. Jason's father Chip is a master craftsman and joined Accent Closets in 1990. Jason would occasionally help Chip in the shop and later join Accent. Jason & Ron enjoyed building things together with any spare time. Their individual capabilities have always complimented each other. When Ron Joined Accent their ride began. From that point Jason & Ron expressed to Arthur & Rea there intentions of being owners some day. Over the years Jason & Ron have learned and mastered every position in the company. They love what they do for a living. As their mentors promised, Jason and Ron now operate and are partners in The Accent Group. They took the ball and ran with it. With their youth, energy and attention to quality and service, they have taken the Accent Group to the top of it's field. They are living the dream.